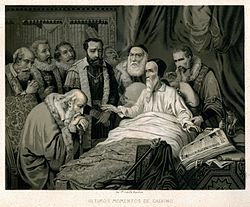 John Calvin (/ˈkælvɪn/;French: Jean Calvin [ʒɑ̃ kalvɛ̃]; born Jehan Cauvin; 10 July 1509 – 27 May 1564) was a French theologian, pastor and reformer in Geneva during the Protestant Reformation. 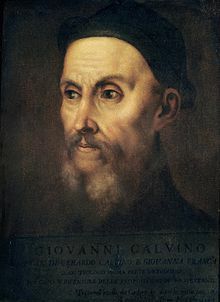 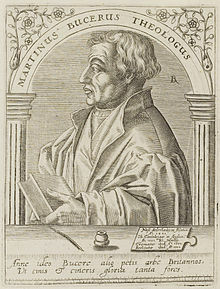 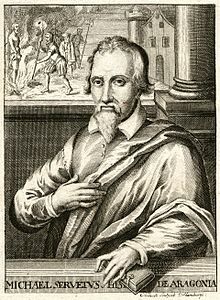 He was a principal figure in the development of the system of Christian theology later called Calvinism, aspects of which include the doctrines of predestination and of the absolute sovereignty of God in salvation of the human soul from death and eternal damnation, in which doctrines Calvin was influenced by and elaborated upon the Augustinian and other Christian traditions. 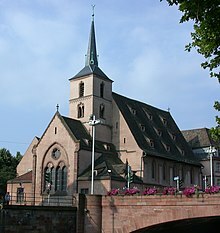 Various Congregational, Reformed and Presbyterian churches, which look to Calvin as the chief expositor of their beliefs, have spread throughout the world. 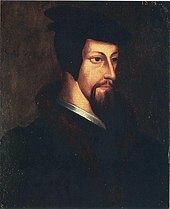 Heron, Alasdair (2005), Lacoste, Jean-Yves, ed., "John Calvin", Encyclopedia of Christian Theology, New York: CRC Press .